Time Inc owners may yet send a note of thanks to Edgar Bronfman Jr. The former Seagram heir teamed up with Warner Music owner Len Blavatnik to make a bid for the $1.4 billion magazine firm – an offer which was rejected, according to the New York Post. The 30 percent mooted premium sounds decent for an indebted publisher with falling sales. Time, the publisher of iconic titles like People, Fortune and Sports Illustrated, is facing big challenges as advertisers flee print-based media. Time Warner Chief Executive Jeff Bewkes punted the division into a separately traded company in June 2014 in an effort to focus on the faster-paced cable networks, movie studio and HBO businesses he still runs. 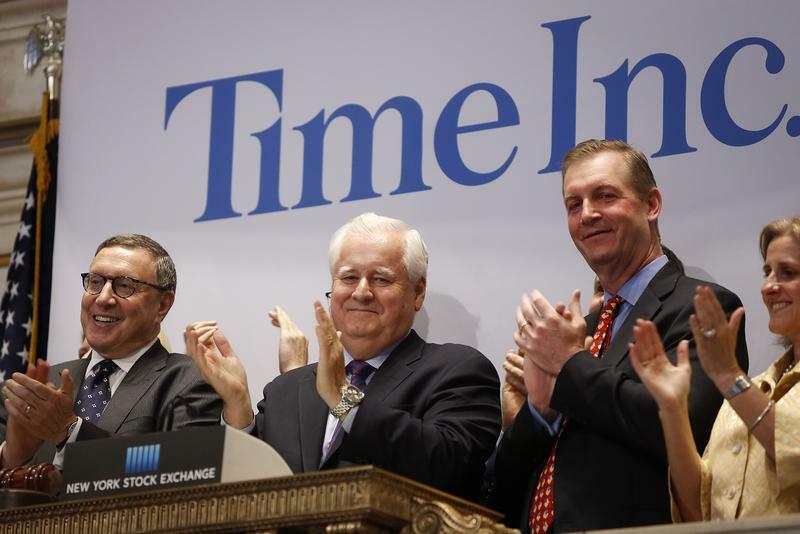 Since then, Time Inc’s shares had slipped 40 percent as of Friday’s close. Despite newly installed CEO Rich Battista’s effort to transform Time into a newfangled digital concern, revenue is expected to fall 2 percent year over year in 2017 to $3 billion – following past declines. The company carries about $1.2 billion in total debt. Rejecting an opening offer may just mean Time’s board is doing the standard mergers-and-acquisitions dance. But the company’s bosses might justifiably be wary of Bronfman as an investor. He sold his family’s empire to French conglomerate Vivendi in an ill-fated all-stock deal. And when he ran Warner Music, also once an appendage of Time Warner, Bronfman sold it to Blavatnik in 2011 for less than half of the price at which it had gone public. Selling shareholders, though, don’t need to worry about Bronfman’s poor record – and many might be glad to get out of their fading investment at a premium. Time Inc has been the subject of takeover talk for years. Before Bronfman, one candidate was magazine publisher Meredith, which owns TV stations as well as magazines and was thwarted earlier this year in its attempt to buy Media General for $2.4 billion. Whether Bronfman turns out to be the buyer or not, the latest twist in the story ramps up the chances of a sale of Time Inc -and puts Time’s bosses on notice to find a deal that works. Edgar Bronfman Jr., Len Blavatnik's Access Industries and Ynon Kreiz teamed up to make a bid for Time Inc, the U.S. based magazine company that publishes Fortune, People and Sports Illustrated, according to a Nov. 28 report in the New York Post. The group offered $18 a share, representing a 30 percent premium to Time's closing price of $13.80 on Nov. 25. Time's board rejected the offer, the report said. As of Nov. 25, shares of Time Inc were down over 40 percent since it spun off from Time Warner in June 2014. The stock jumped 18 percent by 10 a.m. EST on Nov. 28.